The original Bargue plate is on the left, my copies on the right. I’ve had the original plate from the book blown up to A3, about twice the size they are in the book, at my local Prontoprint. Just four colour laser copies, but they seem to be good enough to work from. Trying to copy the drawings half size with charcoal would have been harder, because of the thickness of the lines. Originally, the plates were a shade larger than A3, 24 by 18 inches. I had to do the first eye three times before I got it right, (actually it still isn’t but never mind, I seem to be getting better as I go along.) The second eye I had to do four times before I got it right. 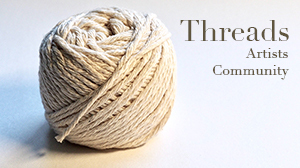 The next three went ok, then the sixth one I had to do twice because I quashed it width-ways a bit. I’m finding I have a strong tendency to draw things bigger than they actually are, something I’d never noticed until I started these copies and the Van Dyck copy. The quality of the line appears to be getting gradually better as I worked through these copies. The first few are very dark and heavy, by the time I got to the last ones I was getting a quality of line closer to the originals. The drawings have been done with a stick of thin willow charcoal, sharpened with a knife at one end. Although I’ve always liked working with charcoal, it’s very easy to make a mess with it. I think I already have more control over it after even just these few copies. The originals are deceptively simple, copying them is not as easy as it looks. Although it’s not difficult to get reasonably close, I’m trying to imagine some stuffy old atelier guy behind my right shoulder saying, “Not good enough Foxton, do that one again.” Despite that, I’m sure a real atelier would be more strict than I’m being on myself. I’ve found the best way to judge how accurate the drawings are is to flick your eye quickly from one to the other. Once you have the positions of the drawings ‘anchored’ in your eye you can switch from one to the other quickly and any difference in the angle of the lines or the shapes they make becomes easier to see. So far I’m only half way through this plate, it’s taken about five or six hours work to get to this point. At this rate it’s going to take a very long time to work through the book. Here’s the second half of the plate. I think the accuracy is slightly better on this half than the first one. One of the things I’ve been concerned with when doing these drawings is how Bargue did the originals. Did he do those lines in one clean sweep, or did he build them up slowly? Regardless of how he did them, the only way I can get close with my copies to work very, very slowly, building up the lines gradually. I admit that for some of these drawings I measured the more difficult lines on the original. I know that you’re not supposed to do that, the point of these drawings is to train your eye to judge the lines and shapes. But they took me long enough as it is, and as I moved onto the second plate I found I was needing to measure less. By the end of that plate I’d stopped measuring altogether, so my eye (brain) must be getting better at judging the contour of the lines and the shapes they create. Just for fun, I did some drawings from my own marble cast of Clytie (I found out who she is now.) I tried to do them in the same style as Bargue did his, simplifying the shapes down to just a few lines. What I didn’t get right is the way Bargue reduces curves down to a series of straight-ish lines. I’ll be doing some more of these, so hopefully the next batch will come out better. If you want to refine your style through a disciplined approach, and especially if you’re enamoured of the classical style – refinement and beauty through ideal simplification – then I’d certainly say that the Bargue course will be a good fit for you. I hope it teaches you as much as it has me so far. 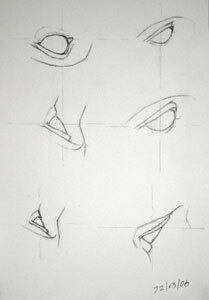 I am just starting the Bargue drawing course – on my own – and was glad to find your helpful site. It is very nice to hear how it went for someone else and how you progressed and learned. I have an art degree – from over 20 years ago – and now I will be teaching art to middle schools in a classical Christian school. They are all about objective imitation vs subjective realism. I am too, but I am weak in my technique. So thanks for the tips! You’re very welcome Emily, I’m really glad to hear that you’ve found it useful. I would get hold of the Bargue book, a physical copy. It contains a detailed appendix on how to practice sight size. I learned sight size from it and it’s all you need to get started. I have a spare copy of the Bargue book French if anyone is interested! I accidentally ordered it from Amazon, then had to order one in English, didn’t fancy my chances of accurately translating it all through Google translate. Heh heh. It is worth getting the book and reading the instructions, all helpful. Developing drawing accuracy pays dividends. Pay attention to getting the values and transitions just right, it is what makes the difference. Paul, I am literally going nuts. I attended a 4 year University where I had a double major and art was one. When I completed the four years I came out with my skill set no better than the day I enrolled. So far I have been learning more from sites similar to yours, albeit most restrict how much they share because they have a course they wish to sell. Guess they gotta eat also. Can you direct me somewhere that will provide data regarding proportion to face and body. 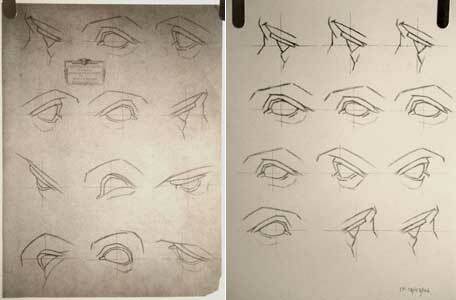 I have developed my skill at doing a very convencing eye, but nose and mouth are or seem tougher. Establishing value also creates problems for me. I can do a five value tone fair but to extend it to achieve realism it is difficult. I have looked at the 5 Pencil Method, $1470 for the course, as a VietNam era veteran and retired on a restricted income that course is never going to happen. Well. Any assistance you might be able to provide would be greatly appreciate. I am doing a self-portrait but the nose and mouth are hanging me up no matter how long I stare, how many times I draw it they always come out different every time. I am also using a proportional divider at a 1:1 and thinking maybe I should go bigger? Hi Tom. I understand your frustration. Well, you’ve got two very different things you want to improve here: proportion and value. I would pick one, and I would start wth proportion. Another way to look at it is drawing accuracy. 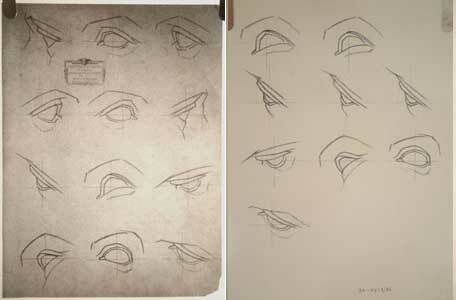 But for portraits it also helps to have a kind of schematic in your brain of good proportions that you can refer to. Do not spend any money on courses. Not yet. What I’d recommend is to download “Drawing the Head and Hands” by Andrew Loomis, and work through the exercises n that book, in order. It’s not perfect but it is very, very good. Do a little of it every day, even if it’s just a few minutes. That’s more important in the long run that doing big blocks of practice every now and again. Once you feel you’ve made some progress, get back to me (paul – at – learning-to-see.co.uk) and we’ll take it from there. Hi Paul, Thank you for the kindly response. I fear it will be a bit before I could obtain the Loomis book. I have the one on illustration and have spent quite a bit of money on books, paper and supplies and trinkets when simply a few pencils would do. You can’t imagine the number of toys I have been seduced into purchasing. Currently I am working on a self-portrait, second effort becuase I got side tracked on proportions. I was going for a 1.5 enlargement and screwed it up by intermingling 1:1 with 1.5:1. Have decided to stay with 1:1 as it is less confusing. Daily I work on a Brague styled value figures. Thanks for your concern and interest. If I don’t forget, something people 73 and older do, I will return an let you know how I am doing. Again, I appreciate your honesty and your reply. it means a lot to me. Should you have any interest in e-mailing me you have the address. Sasha. You can do this and at 36 you have an enormous period of potential remaining. I am 73 and let more than 40 years pass before I re-introduced myself and this was after having spent 4 years in an accredited University for art education wherein my skill set at graduation was no better than the day I enrolled. Everything I have and do now is residual and it is taking time to rebuild. Just stay with it, never let it go. Do some kind of sketching every day even if it is just to draw a pencil, draw it the best you possibly can. Thank you so much. I can get stuck in trying to do what a book says in terms of a specific sort of practice and then getting discouraged but feeling like I should not just practice on my own terms, but it seems like you are saying, just practice however you can and whenever you can. Maybe if I just keep trying to look and draw what I see without following specific lessons from a book in time I will improve enough that using a book will feel more helpful? I have no idea how I never came across your site before. When I first found out about the bargue plates, I did so many google searches, just looking for self-educated people writing or talking about their experiences with them. I found very little. So stoked to find your nook.